Call of Duty: Black Ops 4 is out now, and it has certainly entered with a bang. Activision announced that the Treyarch-developed shooter has broken a number of records across the board. Not only is it one of the most successful digital launches ever, it also has more people playing online than before. Day one sales for Black Ops 4 were at a series high on both Xbox One and PC, where a Call of Duty game was available on Blizzard’s Battle.net for the first time. While it managed to break a number of franchise records, it also broke a record for publisher Activision. 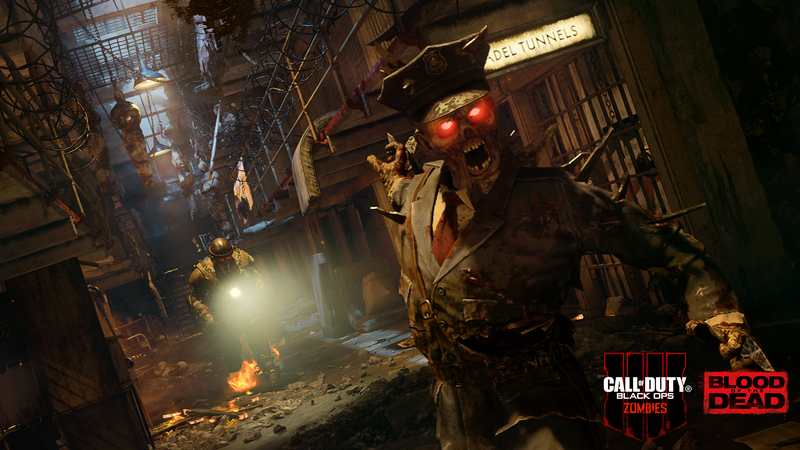 Call of Duty: Black Ops 4 is now the best-selling digital release for any Activision title, beating Call of Duty: WWII. Quite impressively, it also has the highest number of day one sales for a full game on the PlayStation Store. In a somewhat related feat, Black Ops 4 has broken records for online players. According to Activision, the total number of players who connected online to play Black Ops 4 increased from the year before. The company didn’t divulge what these players were doing online, but Black Ops 4 certainly has a variety of online modes to choose from. The most notable addition is Blackout, the first battle royale mode in a Call of Duty game. Black Ops 4 lacks a dedicated single-player campaign, although it’s unknown if that has a direct impact on the number of online players. Now that Call of Duty: Black Ops 4 is out, it’s time to look to the future. Treyarch has already teased some of the updates we will see in the coming months.